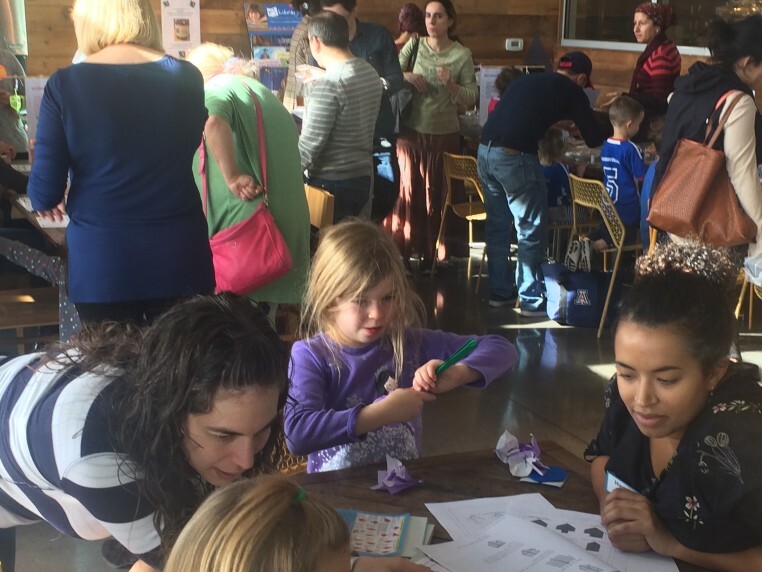 The PJ Library is a unique program that seeks to encourage Jewish families with young children to explore Jewish literature. In order to accomplish that goal, each month The PJ Library sends an age appropriate Jewish content book or CD to enrolled children between the ages of six months to eight years who reside in southern Arizona. If you have questions or need additional information please contact MaryEllen Loebl or call 520-577-9393, ext. 8443. The PJ Library program is FREE. PJ Library subscriptions are available for the first 800 children who are between the ages of six months to eight years, living in southern Arizona. Enrollment is on a first come, first serve basis. If additional children register we will create a waiting list as we secure additional funding to bring this wonderful program to all our children. When your children are enrolled in PJ Library they gain entry into the world of Jewish children's literature. They start reading, meet new people and travel to far away places they have only heard of - Israel, Poland, Egypt, Russia, Ellis Island and more. PJ Library enriches the lives of you and your children. Join the growing number of Jewish children nationwide expanding their minds and their libraries by taking part in PJ Library. Join PJ Library! Remember it is FREE and without obligation. Sign up by clicking on the above link. After enrolling your children their first book should arrive in approximately six to eight weeks. The Coalition for Jewish Education(CJE) of the JFSA is proud to announce that PJ Library was selected by the Jewish Education Service of North America (JESNA) as 2010 pick for "Best in Jewish Education of the Decade". CJE also is proud to announce that PJ Library was selected as one of Slingshot 08/09 resource guide's fifty most inspiring and innovative organizations, projects, and programs in the North American Jewish community today. Slingshot 08/09 is a resource guide published by 21/64, a nonprofit consulting division of The Andrea and Charles Bronfman Philanthropies. The Slingshot programs to be inducted stood out from hundreds of nominated Jewish projects, based on programmatic originality, community impact, leadership and organizational efficiency. To select the Slingshot inductees, 21/64 conducts an extensive evaluation process overseen by 25 foundation professionals. They look for programs and leaders that reinvigorate Jewish expression and practice in the areas of ritual, history, language, liturgy, culture, and tikkun olam – healing the planet. PJ LIbrary sends high-quality Jewish-content books and music on a monthly basis to families with children ages six months through eight years (ages vary from community to community). The PJ Library is funded nationally in partnership with local philanthropists and organizations. The PJ Library is now in 200 plus communities, reaching over 125,000 children every month. Communities continue to launch monthly. Although The Harold Grinspoon Foundation provides the infrastructure and administration to help us provide this program in our community we continue to seek local partners to help finance the cost of funding PJ Library in Southern Arizona. Our partners provide financing for the cost of the books, music and the mailings for children in our community. Each subscription has an annual cost of $100.00. The local community funds the program at 40% and the national PJ Library funds the program at 60%. This amount covers the cost of 12 monthly mailings to families, who receive a PJ Library subscription without charge for the entire period of their enrollment. We welcome all those who would like to participate in passing on the joys of our Jewish heritage by supporting this program. Expect the unexpected at all the PJ Library events. 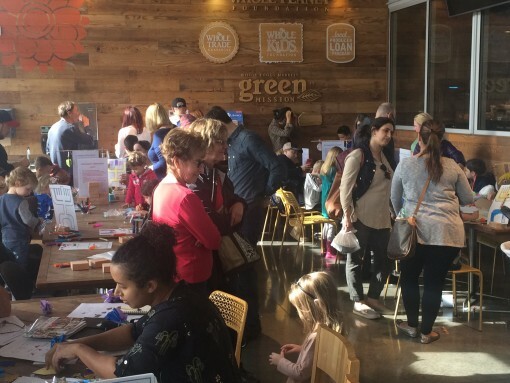 Join in for books, crafts and meeting other parents with children. Thank you to our generous supporters of our PJ Library program in Southern Arizona.